I would not recommend anyone utilize the services of a business that supports a hypocritical organization that masquerades as a church, while exhibiting abusive behavior towards helpless animals. This is one such business. I don't support businesses who support animal abuse. St. Patrick Parish, located in Stephensville, Wis., will be hosting its 44th Annual Roundup Days this coming weekend. Event activities include Mass, dinner, parade, raffles and a live band. As part of these activities is an event called the Pig Rassle. Pig wrestling, also known as a rassle or wrasslin', is an event that is held in various places throughout the United States. Individuals or teams are given the task to place a pig at a designated location. The challenge is typically set within a fenced area containing water and mud. The Pig Rassle is not unique to St. Patrick Parish and has taken place for many years at county fairs and other community events. The Roundup Days have taken place for more than 40 years, and the Pig Rassle has been part of this event for several of those years. Consideration is taken to ensure that the pigs are safe and free from any abuse. After consultation with local authorities, it has been determined that there is no illegality associated with this event. St. Patrick Parish does not condone animal abuse. OK, so they apparently checked with their legal team and came up with a response. Part of it says "The Roundup Days have taken place for more than 40 years, and the Pig Rassle has been part of this event for several of those years." And the Romans had humans and animals fight to the death for their amusement. And we used to think shock therapy cured mental illness, and we used to think bloodletting was a good idea. Get out of the stone age. I hope the protesters outnumber your idiot congregation by 10 to 1. I hope CNN covers it. I hope you, as a supported of the parish, will let them know this is unacceptable in this day and age. 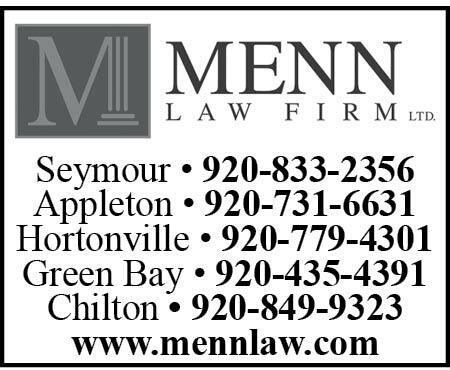 Menn Law Office sponsors St. Patrick's Parish which intends to hold a pig-bashing event August 10, 2014, where people line up to abuse pigs, in violation of Crimes Against Animals Wisconsin Chapter 951. Boycott this law firm if you care about animals! !